Lotion with a delicate, creamy texture perfectly removes make-up and all impurities without affecting the lipid layer of the epidermis. – makes the skin perfectly clean and fresh and soft to touch. Marine Minerals oxygenate and renew skin cells, improve skin’s firmness and elasticity and restore balance. Vitamin E neutralizes free radicals, delaying the aging process of the skin and formation of wrinkles as well as adds vitality, leaving your skin deliciously soft and smooth. Apply the liquid to cotton pad and gently wipe the eyes and skin of the face, neck and décolleté. Use in the morning and evening. 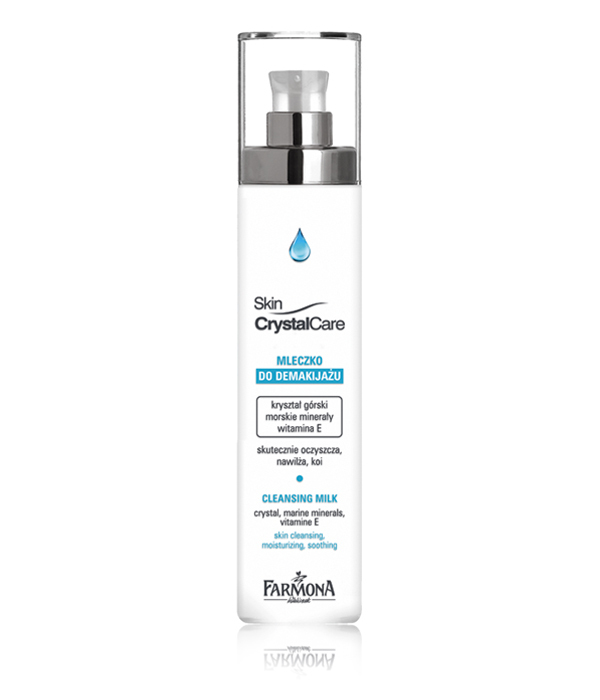 Crystal Mountain, marine minerals, protective and soothing biocomplex, vitamin E.
Aqua (Water), Paraffinum Liquidum (Mineral Oil), Caprylic / Capric Triglyceride, Glycerin, Ethylhexyl Stearate, Polyglyceryl-3 Methylglucose DISTEARATE, Cetyl Alcohol, Propylene Glycol, Quartz, Hydrolyzed Corallina Officinalis Extract, Tocopheryl Acetate, Panthenol, Allantoin, Inulin, Xanthan Gum, Phenoxyethanol, Ethylhexylglycerin, Disodium EDTA, Sodium Hydroxide, 2-Bromo-2-nitropropane-1,3-diol, BHA, Parfum (Fragrance), Geraniol, Hexyl Cinnamal, Butylphenyl Methylpropional, Linalool, 3-cyclohexen Hydroxyisohexyl carboxaldehyde, Alpha-Isomethyl Ionone.